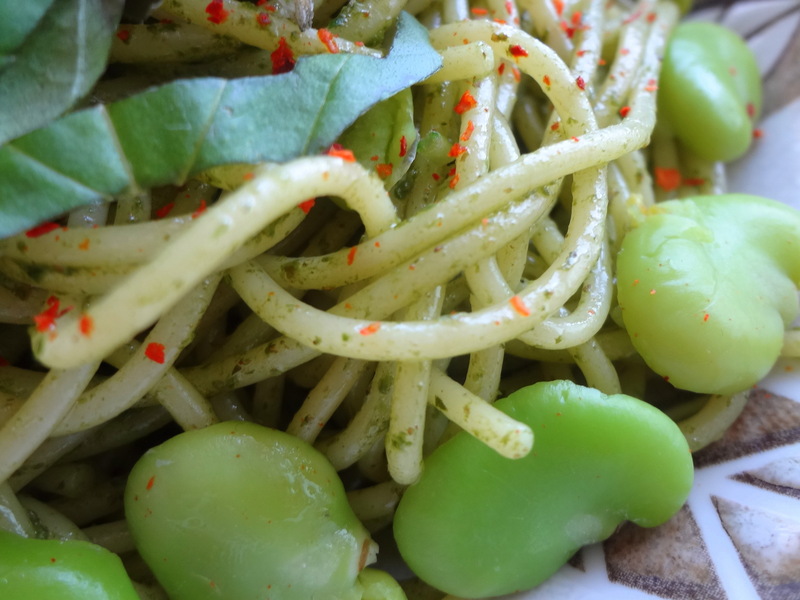 Pesto spaghetti with a Japanese twist. 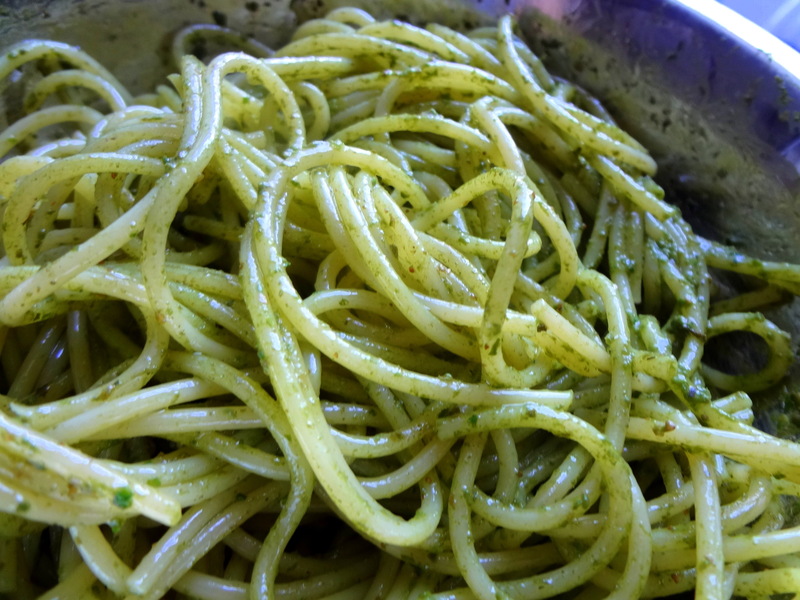 A base of spaghetti in a basil sesame pesto I had as a leftover of the day before. 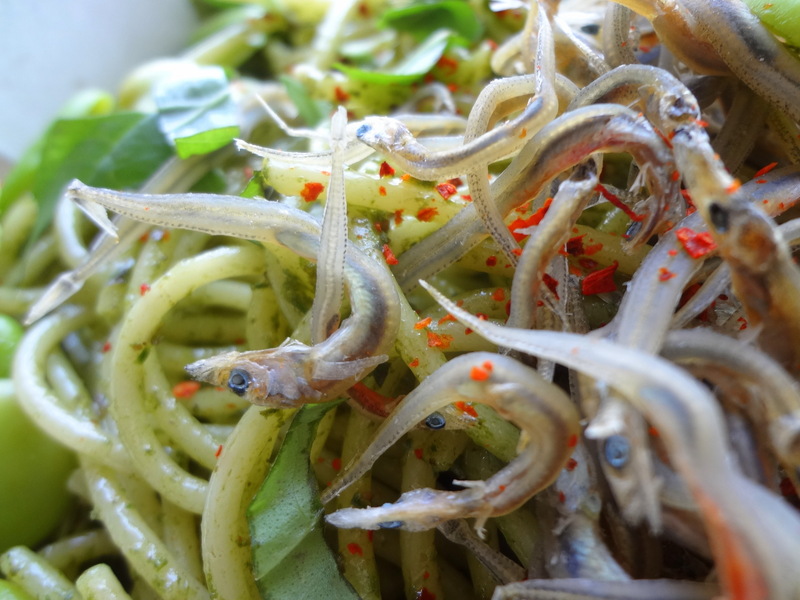 ちりめんじゃこ chirimen-jako are fish bait of the anchovy and sardine family. 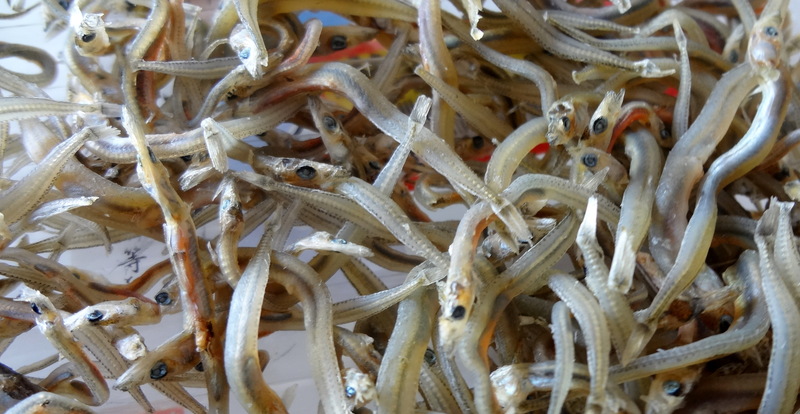 They are dried under the sun and can be kept a few days. That’s salty and tasting of fish of course. 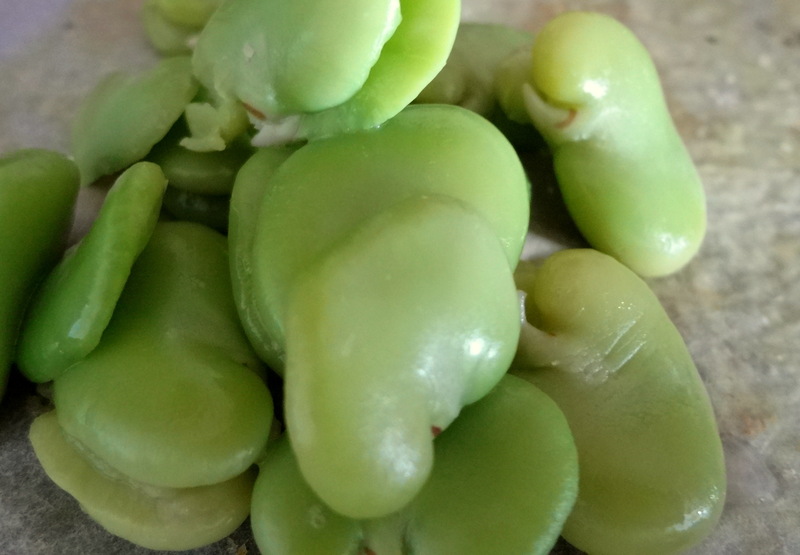 The other topping : boiled and skinned favas (broad beans). And a few ribbons of basil leaves. 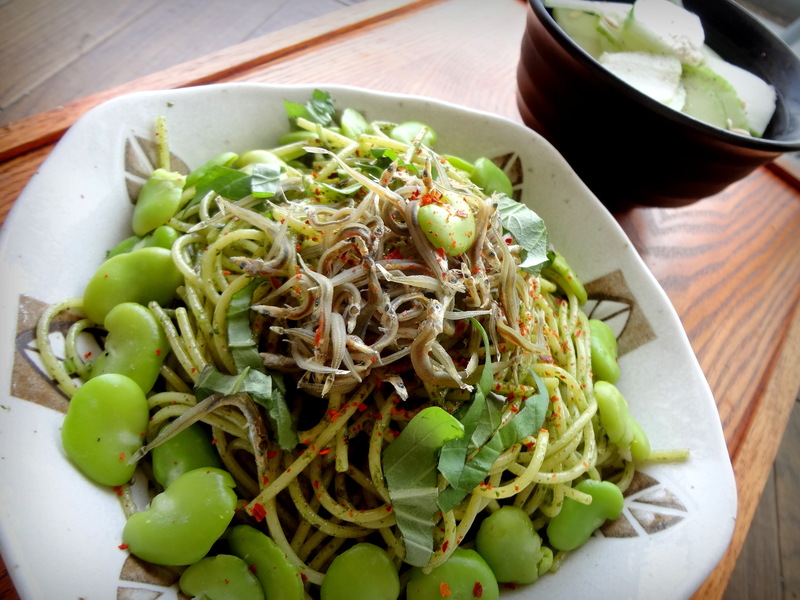 Side dish : ginger cukes. 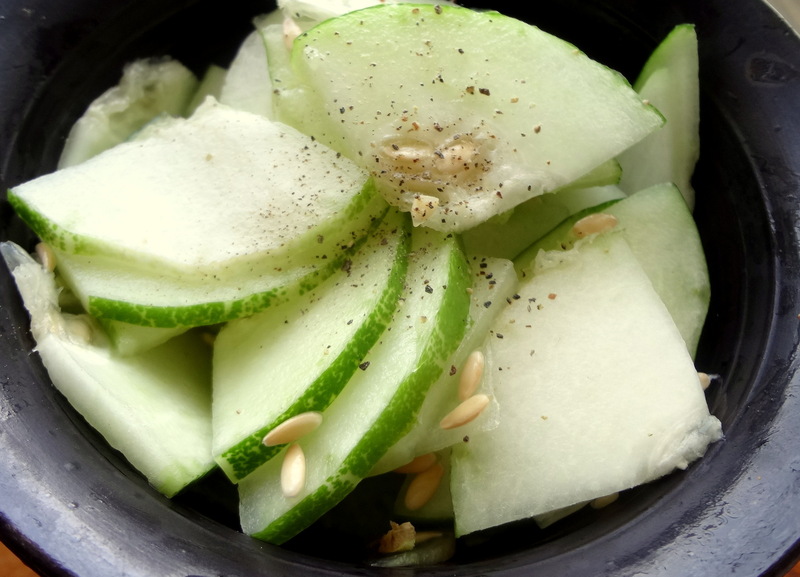 A quick tsukemono : Sliced, cut, rinsed white cucumber. 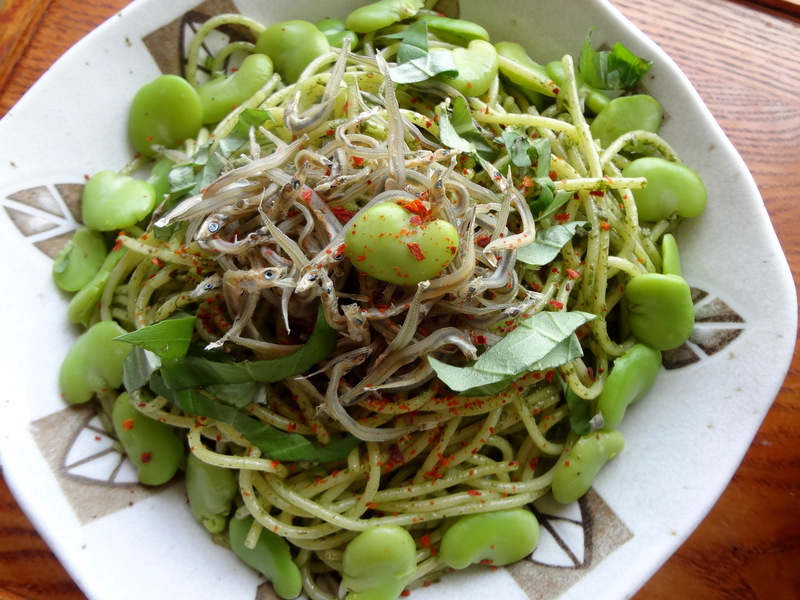 Added sea salt and minced ginger. Mixed well. Let one hour in the fridge.